Our friendly and experienced staff are always happy to help. Fuller Heating are a long established heating company offering many boiler and plumbing services in Surrey and South West London. 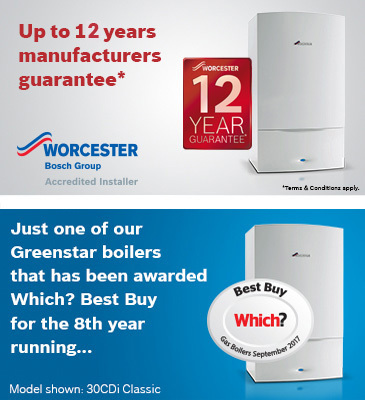 Our showroom in Epsom contains a wide range of Worcester Bosch boilers. We are Thermotechnology specialists. Established since 1991, we have the knowledge and expertise needed to ensure that you receive nothing but the best service. Our reputation has been developed through hard work and reliability which is why we are the area's number one choice for plumbing & gas related work.